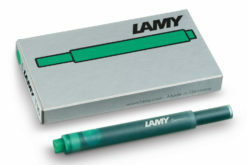 Lamy Safari Fountain Pen - Green. Now available at Write GEAR! 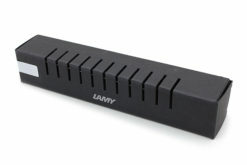 The Lamy Safari is compatible with Lamy ink cartridges, which have a notably large ink capacity, and are available in a few different colours. These inks are just as dependable as the pen itself. 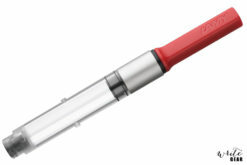 Alternatively, if you prefer bottled ink, the Lamy Safari is compatible with the Z24 Converter. 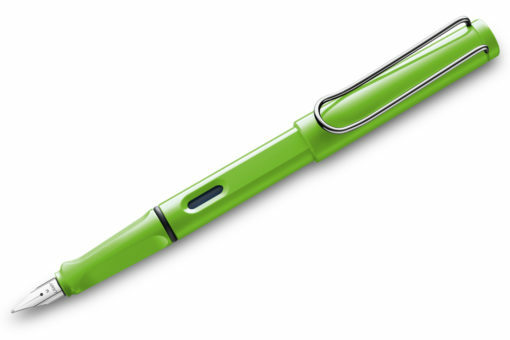 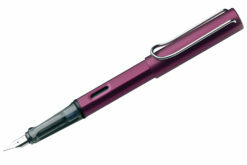 Have a look through our selection of green inks for a great match for this pen.